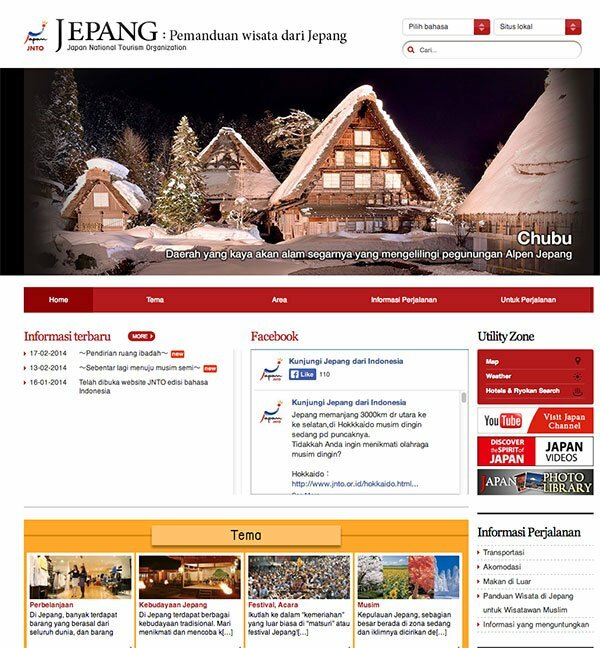 Japan National Tourism Organisation (JNTO) has announced that they have launched their website in Indonesian language to facilitate visitors from Indonesia. It will be a huge step forward to attracting more and more visitors from Indonesia, the largest Muslim country in the world in terms of population. The launch of the Indonesian step is part of on-going efforts by the Japanese Government to attract more visitors from Muslim countries. The government seems to be focusing on the southeast Asian Muslim countries first by easing visa restriction to Indonseian, Malaysian tourists.